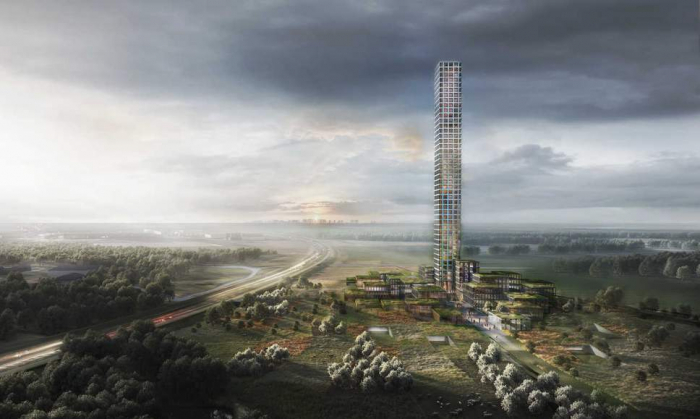 The tallest skyscraper in western Europe is set to be built in a Danish town of 7,000 people. Once constructed, Bestseller Tower will stand at 320m - 10 metres taller than the Shard in London. Bestseller, the fashion giant behind the tower, said it would become a “landmark” that would place the town of Brande “on the map”. Concept images show the sheer height of the tower standing in stark contrast to the flat surrounding countryside of the Jutland, where it will be visible from 60km away. The planned tower, which received the backing of the local council last month, has garnered mixed reactions. Trine Kammer, an architect from Aarhus, told The Guardian she feared the construction would destroy the sense of “a huge, undisturbed landscape”. Bestseller was founded in the town in 1975 and is headed by Anders Holch Povlsen, who is Denmark’s richest man. The company’s tower was designed by architectural firm Dorte Mandrup and will feature shops, a hotel and several offices.